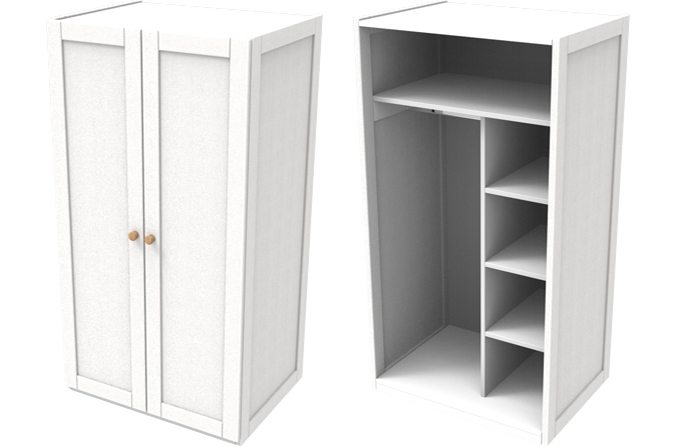 Painted white inside and a choice of 2 colours to match other Sierra Collection Beds this double wardrobe for kids is available for delivery assembled or in parts (+£20). This wardrobe helps to organise storage space with pigeon hole shelving to one side and one hanging rail. 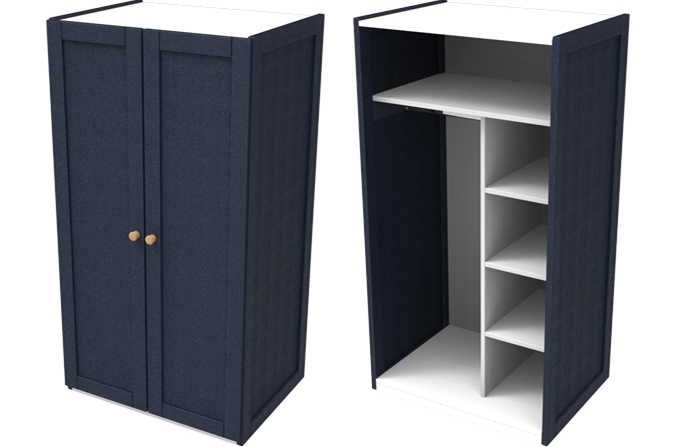 Kids Wardrobe - Painted Midnight Blue (Also available in Arctic White) to match the Sierra Collection. Solid ash hardwood with oak door knob detailing.